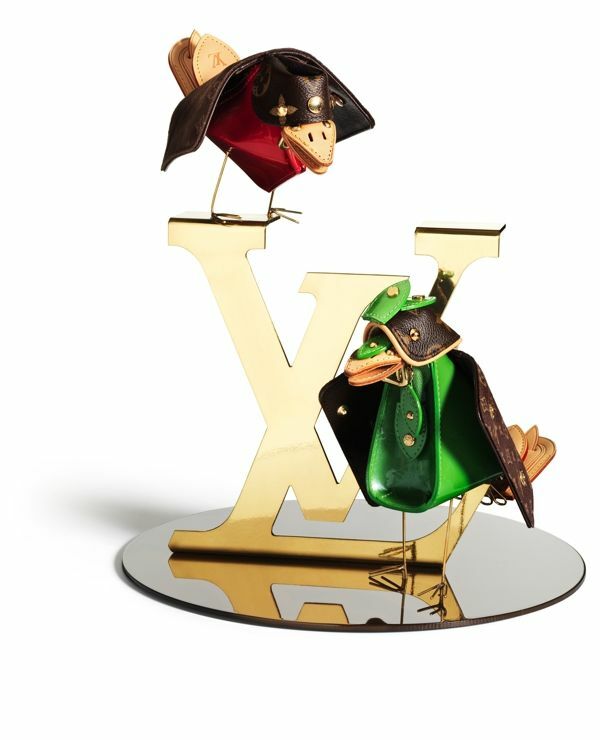 Louis Vuitton celebrated its 100th Anniversary of Small Leather Goods on the 3rd Oct during Paris Fashion Week. 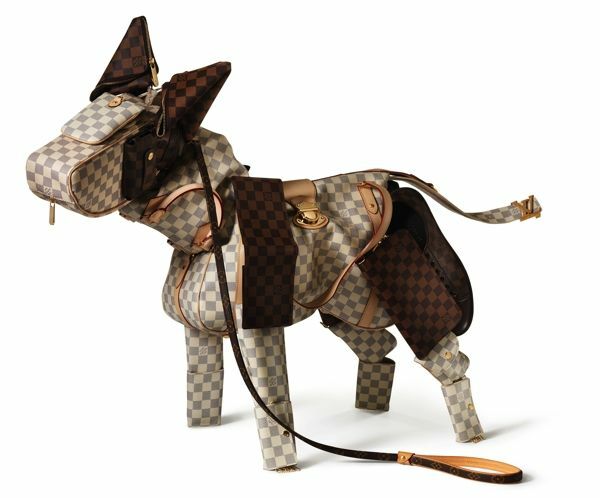 A total of 29 amazing looking animals made of Louis Vuitton small leather goods by Billie Achilleos, was displayed at the historical Deyrolle House. From the fluffy chipmunks to the colorful chameleon, these are simply breathtaking. I've been avoiding to use the word 'cute' to describe something on my blog, but can I please say cute for this just once? Because they really are exceptionally cute. Now meet the Damier canines. 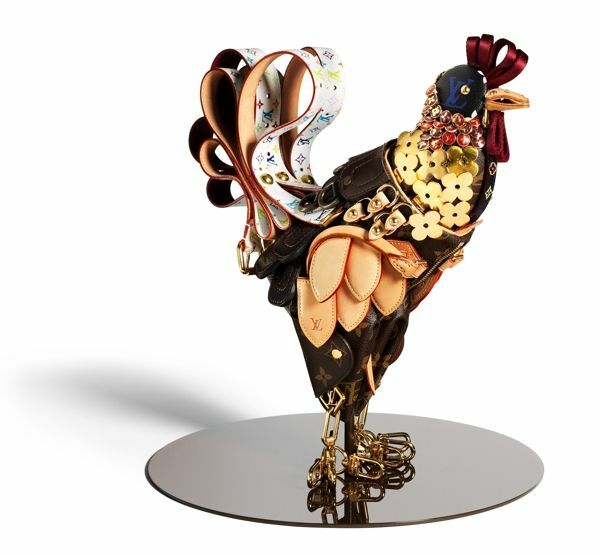 My last favorite batch is the colorful rooster and chameleon. They're so delicate and I﻿ want them as a pet! 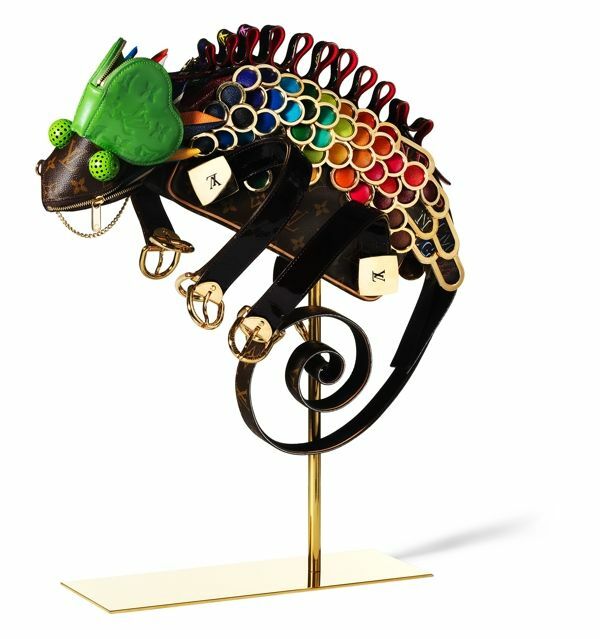 This was an amazing opportunity to showcase the savoir faire of the house in small leather goods-making as the UK artist turns Louis Vuitton bags and small leather goods into extraordinary animal sculptures. 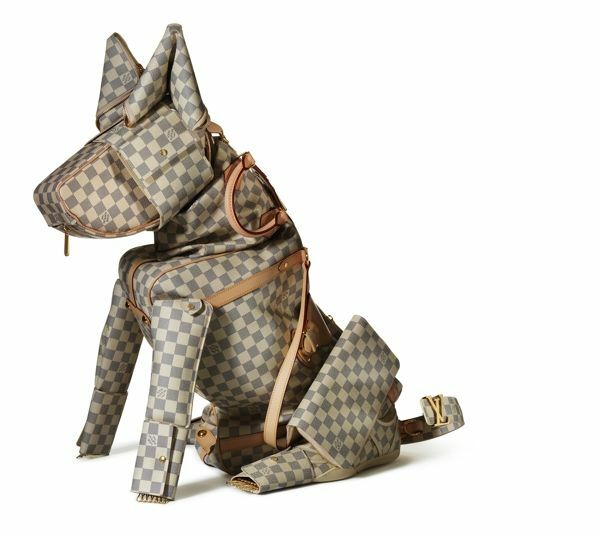 Who knew Louis Vuitton would ever come up with these? What a brilliant concept to celebrate the 100th Anniversary, I have to admit. So here's the story behind. The Famous Historical Deyrolle House in the heart of the 7th Paris District. Founded in 1831, the it is the famous taxidermist store in Paris based in an historical townhouse. 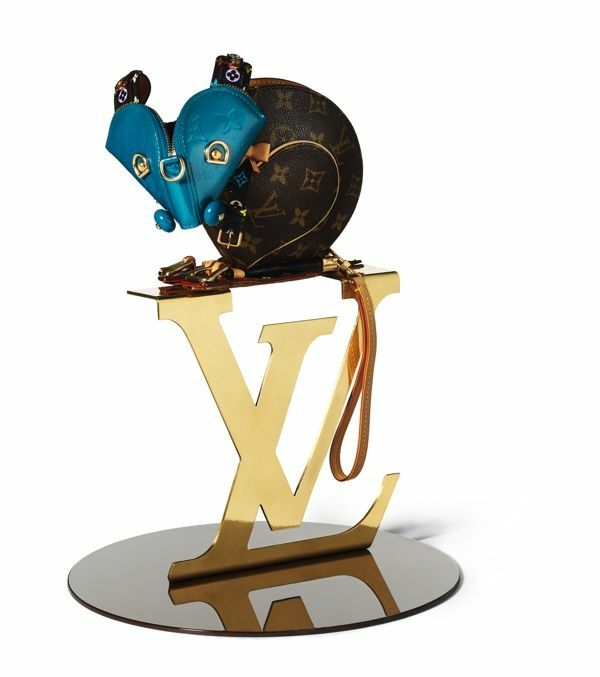 On the first floor of the townhouse that once belonged to Samuel Bernard, son of King Louis XIV's personal banker, bizarre Louis Vuitton animals will sit alongside the finest taxidermy specimens and treasures of the famous Deyrolle collection. Keeping alive the skills of a forgotten craft, Billie embodies the new generation of traditional artisans, forever inventing and creating, a culture that is shared by Louis Vuitton and Deyrolle. omg, so cute... i love everything here! thanks for sharing and for your comment... i'm so happy that you commented on my blog because you're one of my fashion icon! haha no way! that is awesome. and thanks, your blog is great too! 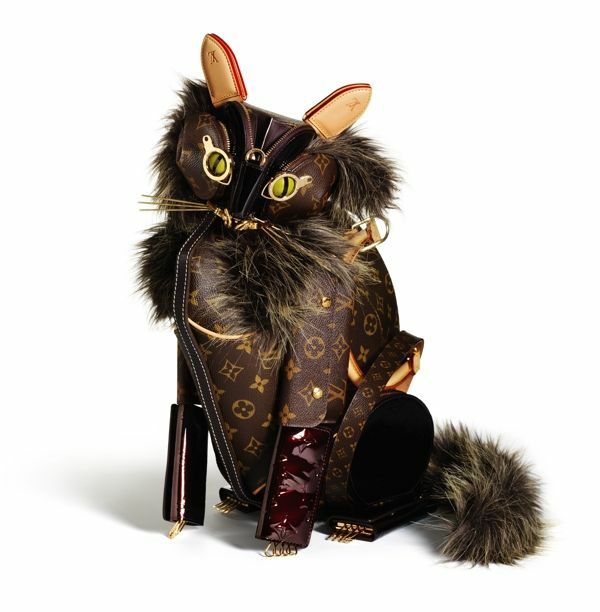 i must admit, i am not a fan of louis vuitton, though, the structure of the bags tend to be nice, however, these animals are such works of art, and so endearing. i love it. How adorable!! I would love to have one of these. Hmmm... don't know what to say.. this is creative.. but to wear it? i don't know :? omg, that's so funny! never seen that before! cool post! haha, thanks for sharing! Amazing selection and great blog! Lol, as you say, these are most definitely 'cute'. 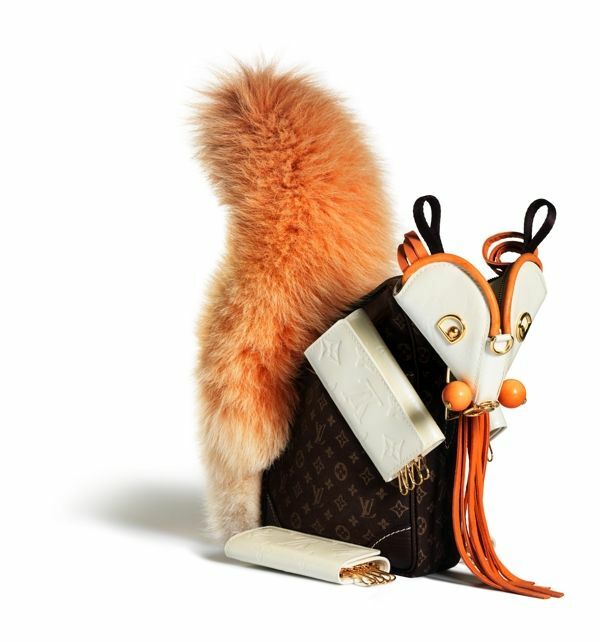 LV is the best and those lil animals are so cute..
first time on your blog and like it already! oh my goodness im speechless. totlly mind blown! I love the Chameleon hand bag. I will add that to my Xmas wishlist. Mode des sacs Louis Vuitton sont souvent de grande taille, comme les sacoches, sacs polochons, etc Ils offrent un espace suffisant avec les serrures lourds, fermetures à glissière et sangles.